Dr IPS Oberoi | Best Doctor for Knee Joint Replacement Surgery in India | Best Doctor for Hip Joint Replacement Surgery in India | Best Doctor for Shoulder Joint Replacement Surgery in India. Dr. I.P.S.Oberoi is one of the best knee replacement, hip replacement and arthroscopic surgeon in India specializing in all arthroscopic and joint replaement surgeries. Dr. 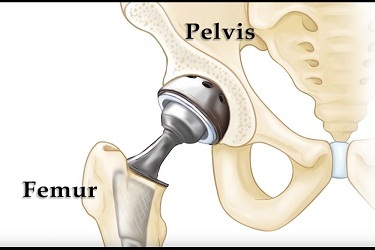 I P S Oberoi is the pioneer in the field of arthroscopic labral tear of hip. Infact he is is one of the only a few surgeons who have been trained to do an arthroscopic surgery for labral tear of the hip. Dr Oberoi has been extensively traiend in performing all joint replacement surgeries like knee replacement, hip replacement and arthroscopic surgeries of knee, hip and shoulder. Dr I P S Oberoi in all his knee replacement and hip replacement surgeries uses most advanced technique resulting in quick recovery and shorter hospital stay.This is especially favorbale for the international patient because of which the total cost of knee replacement, hip replacement and arthroscopic surgery reduces significantly. Apart from knee and hip replacement surgeries Dr. Oberoi is one of the best doctors for arthroscopy in India. Dr. I P S Oberoi is in the league of some of the best arthroscopic surgeons in India. Dr I P S Oberoi has been trained in all kinds of arthroscopic surgeris like ACL repair, PCL Repair, Meniscus Repair, tennis elbow, Rotator Cuff injury and other sports injury in India and abroad. He is the only arthrosopic surgeon working in a Joint Commission International (JCI), US accredited hospital in Gurgaon, India. Dr. I P S Oberoi is currently working as Director of Orthopaedics, Arthroscopy & Joint Replacement Department at JCI accredited Artemis Hospital, Gurgaon, India and is one of the best knee replacement, hip replacement and arthroscopic surgeons in Gurgaon and India. Consultant Arthroscopy and Joint Replacement Surgeon, Central Hospital, Indian Railways, New Delhi, India. Trained in shoulder surgery , center Hospitalier, St Gregoire, Rhein, France and Cape shoulder clinic, Cape Town, South Africa.